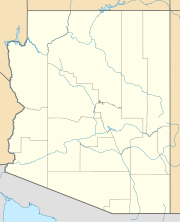 Mingus Mountain (Yavapai: Hwa:lkyañaña) is a mountain located in the U.S. state of Arizona in the Black Hills mountain range. It is located within the Prescott National Forest traversed by State Route 89A approximately midway between Cottonwood and Prescott. The summit can be reached via Forest Service roads that branch off from State Route 89A. From the mountain, there are views of the Verde Valley, Sycamore Canyon Wilderness and the towns of Cottonwood, Jerome, and Clarkdale. The Woodchute Wilderness, north of the summit of 89A, also offers views and hiking trails. There are several National Forest campgrounds in the area and it is the transmitter location for Prescott full-service television station KAZT-TV and several low-power television stations serving Cottonwood, Clarkdale, Camp Verde and Prescott Valley. Mingus Mountain is also the premier flying site of the Arizona Hang Gliding and Paragliding Association. According to the book, Roadside History of Arizona, by Marshall Trimble, "Mingus Mountain was named for Joseph and Jacob Mingus, two brothers who settled in the area in the 1880s and later operated a sawmill near the base of the mountain". Another source attributes the name to William Mingus (d. 1911, Prescott, Arizona), a pioneer prospector who lived and worked on Mingus Mountain in the 1870s. The Mingus Lookout Complex is a complex of fire tower and associated buildings at the top of the mountain, and is listed on the National Register of Historic Places. ^ a b "Mingus Mountain, Arizona". Peakbagger.com. Retrieved 2014-02-06. ^ "Mingus Mountain". Geographic Names Information System. United States Geological Survey. Retrieved 2006-12-28. ^ "Mingus". AZHPA.org. Retrieved 2014-02-06. ^ Trimble, Marshall (1986). Roadside History of Arizona. Missoula: Mountain Press Pub. Co. ISBN 978-0878421978. ^ Stone, Terrance L (2006). Grave history. Datura Books. p. 223. ISBN 978-0977854509. Wikimedia Commons has media related to Mingus Mountain.